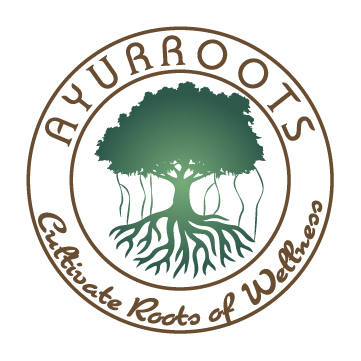 Vaidya Meenakshi Gupta, an Ayurveda Vaidya, Founder, Director of AyurRoots wellness center. She is a Trainer and teacher of international repute, and has pursued her MD Ayurveda from the Apex Learning institute, The National Institute of Ayurveda, Jaipur, India. Vaidya Meenakshi is a gold medalist and is a highly accomplished Ayurveda and Panchakarma (DETOX) Specialist. She has been practicing Ayurveda for the last 20 years. Her area of expertise includes stress management, women’s health, chronic pain management, muscular-skeletal conditions, geriatrics and preventative care, healthy weight management, skin care, digestive imbalances, and anti-aging therapies. . Her expertise also includes Ayurveda, Panchakarma, Diet, life style recommendations and Ayurveda wellness education. Vaidya Meenakshi has done intense 3 years of clinical research on Ayurvedic herbs in Enuresis & on ADHD, Learning Disabilities in Children. The research experience includes literacy research as well as clinical trials with Ayurvedic herbs on Enuresis. Vaidy Meenakshi has more than 18 years of extensive international experience in design & delivery of Ayurveda courses as Ayurveda Cosmetology, Ayurveda Herbology, Medical Yoga, Panchakarma therapy. She organizes regular workshops & courses on various topics of Ayurveda, training workshops for hands on training in Panchakarma courses. She has more than 5 years of extensive teaching experience at Ayurveda Colleges in India, and more than 8 years of extensive teaching experience in USA and has 20 years of clinical experience with Ayurvedic herbs & Panchakarma. She has authored several papers and writes regular column in several e magazines, health magazines along with various Radio talks & newspaper articles. She is member of the fellowship Board of the Association of Ayurvedic Professionals of North America (AAPNA) and NAMA. She is member of Research Method committee for council for Ayurveda Research. 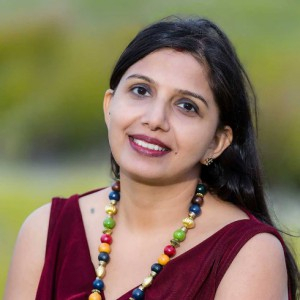 She is Senior Editor of Journal of Ayurveda and Holistic Medicine (JAHM) and ex-coeditor of Ayurveda Mantra Magazine. To New WE Members One Time Discount: 15% off on one day Detox package. No cash Value, cannot be combined with any other offer. To all WE Members: One time offer only on one day detox, regular price $340, after discount $289.